There was a time, no too long ago, when I used to question tv paint sticks and loose powders. I was so wrong, I wonder what I was thinking to actually question, perhaps not much. 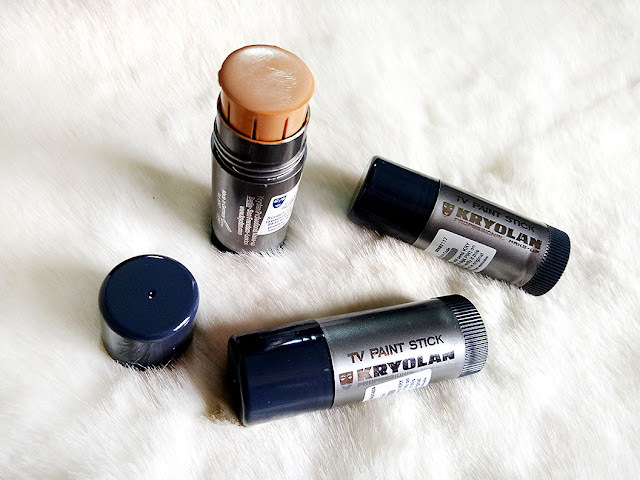 Practice makes perfect and so the more I started using Kryolan TV Paint sticks and a few other Kryolan products some of them became and essential part of my makeup kit, especially during my makeup shoots. All across the world Kryolan is known as one of the professional makeup brands with its diverse range of products which are not just for the mainstream consumers but also industry professionals from fashion, theater, film, etc. 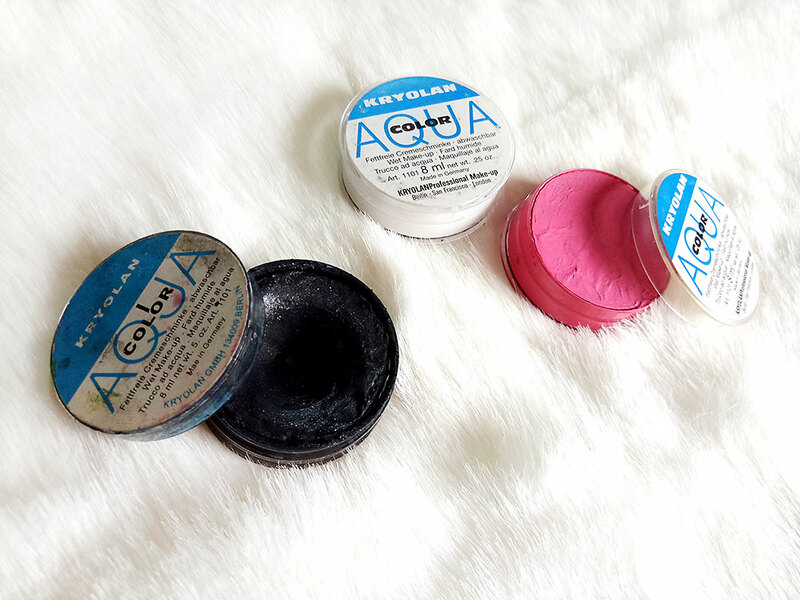 In Pakistan there was a time that makeup professionals only used Kryolan products, especially their tv paints tick and aqua black liner cake. Even today makeup professionals as well as most people I know have Kryolan products in their makeup kit. 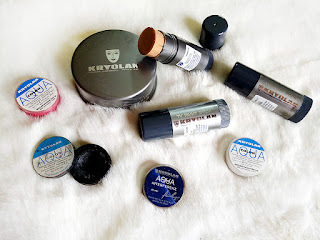 More brands and products are being introduced in the market but the love for kryolan due to its never faltering quality is still strong. I must admit, as I had earlier, I thought using TV paint stick would make me or anyone look like a pastry. Of course I was not 100% wrong because its how you use it that makes it amazing as well. A lot of people, especially makeup artists, don't use this wonderful foundation stick properly and therefore the result is pasty. Now, these sticks are a necessary part of my professional makeup kit and I do most of my clients' makeup with it. The TV stick foundation are so pigmented, give full coverage and even more so if you pack it with Kryolan foundation cake afterwards (but only do this when you need to go to a big event). They do need to be properly set with powder and finish off with a setting spray. Very long lasting and they don't budge! Retail at pkr.1,550 per stick. 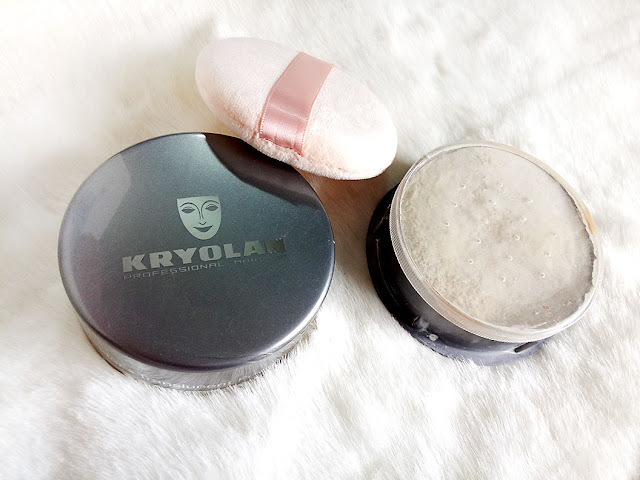 I started my first face baking with this translucent powder. It is so fine you don't even know if you have anything on your face or not. It bakes like a dream keeping lines and creasing at bay. Other then baking I even use it for lightly setting my over all makeup. A must have for sure and it lasts for a very long time. Retails at pkr.1,975 for 60gm. These AQUA colors give me life for so many reasons. I have been using them forever, especially the black one. 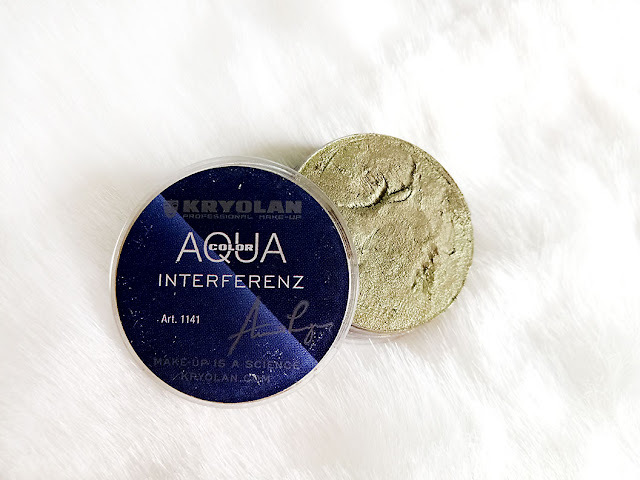 My first ever liner after I progressed from kajal was the Kryolan aqua color liker. It doesn't irritate my eyes and I use it in multiple ways. It is water activated and very easy to use as well as extremely rich in pigmentation. I use it as an eyeliner, for smoky eyes you can play around and smudge it, you can make it water proof by adding a sealant. I use aqua color for my fantasy face painting as well but mostly for detail line work. A versatile product to own, get it. Retails at pkr.770 for 8ml. This basically is also water activated but a creamier and shimmery version of Aqua colors which I use for face painting as well as those dramatic gold exotic eye makeup. I use it without water as well and it works fine due to its creamy consistency. Also works well as a lip highlighter too. Very rich in pigmentation and long lasting. I am wearing Kryolan tv paint stick in FS36 mixed with FS38 here and black aqua cake liner here. 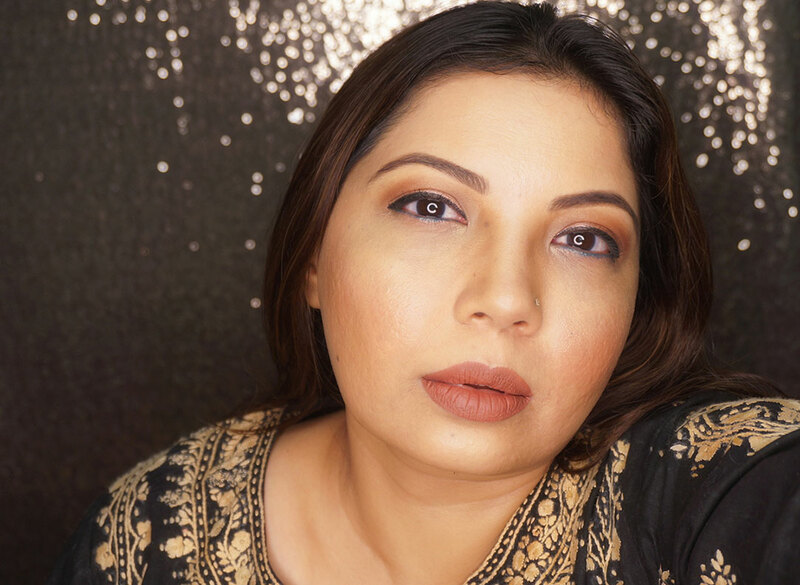 I purchased most of my things from MAKEUP CITY which is located in most cities all across Pakistan. I prefer buying from there because they are original and official distributors of Kryolan in Pakistan so I know I am not getting a fake product. You can also get updates from Makeup City WEBSITE and FACEBOOK as well. Need to check out that translucent powder.